When my children were quite young, in fact when I only had half of the children I have today, I felt compelled to find ways to make the Catholic faith come alive for my children. More than simply attending Mass with them each Sunday, I wanted to teach them to pray, introduce them to the saints, and celebrate the liturgical seasons within our domestic church. I wanted to bridge what they saw and experienced at church and how we lived at home. I didn’t want church and home to be separate. Rather, I desired family life and faith life to be integrated and intertwined with each other. My hope was (and continues to be) that living out the Catholic faith would be a natural and central part of their lives. 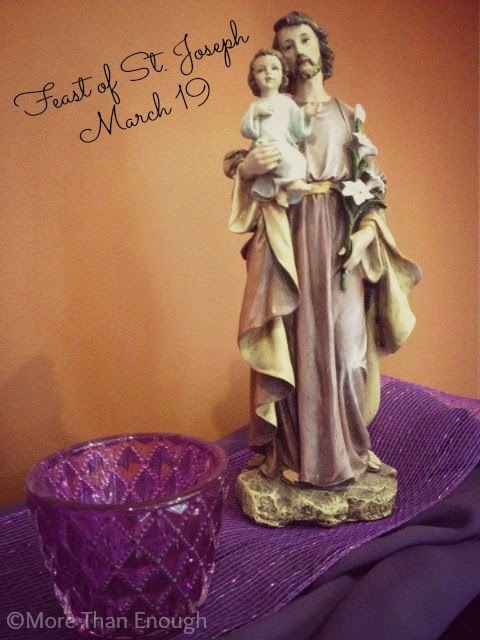 I took what I was reading about and learning about from other Catholic moms and I really got into decorating our home for the liturgical seasons, planning crafts and activities, and organizing feast day tea parties. I am not overly crafty or exceptional in the kitchen, but the spirit with which I did these things as well as the experience my children had was what mattered most to me. When I look back, these are some of the most cherished memories that I have with my young children. Free download for this calendar courtesy of Shower of Roses. But then I went through a season of burn out and being overwhelmed to the point of depression, and I lost my ability to keep up with it all. I could barely keep the house clean and groceries in the pantry, let alone remember to plan a feast day dessert. It was a hard and difficult time for me. One of the saddest parts of barely being able to do the bare minimum to survive is that you lose a lot of what brings you joy. And that was it; I lost my joy. Doing the basics only to survive took everything out of me. It’s what was needed to survive, but it wasn’t what brought joy to my life. And I was sucked dry. I didn’t really know what to do to get my joy back. I was at a stand-still for a long, long time. Even when I came out of the deeper part of my depression and felt ready to reclaim joy in motherhood again, I didn’t know what to do or how to do it. I was rather paralyzed. Once I lost the joy of doing the special things I did as a mom, it was almost like I forgot how to do them all together. I felt like I was behind on so much, that I really didn’t know where to begin again. And I certainly couldn’t begin with what I loved, could I? I mean, what about the room that needed organizing or the papers that needed sorting? In the meantime, my children were growing up quickly, and I no longer had a bunch of toddlers and preschoolers. Now, I have a gang of school-aged children, my youngest already four. How do I do what I did but for different aged children? 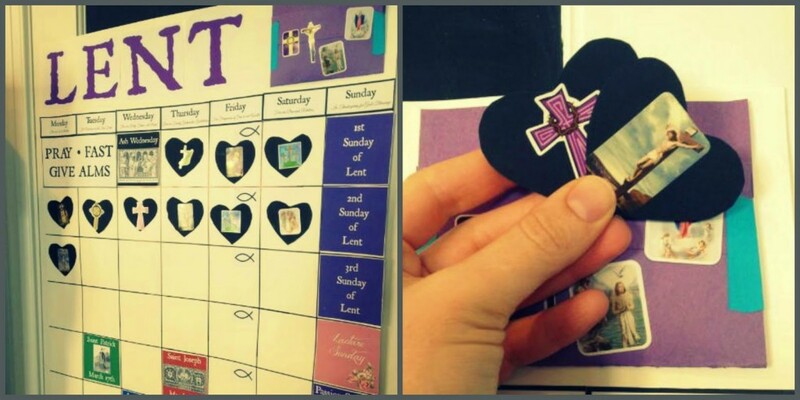 Lenten acts of kindness ideas courtesy of Family at the Foot of the Cross. A few weeks ago, I was blessed to hear a very motivating talk by Catholic speaker and author Patty Schneier at the WINE (Women in the New Evangelization) Catholic Women’s Conference. At the end of her talk, she gave some very practical tips for living out the Faith on a daily basis. Two tips that Patty gave were things I used to do in those “glory years” of my young motherhood but that fell by the wayside during my rough patch. One was to know and celebrate the feast days of our children, not only the saints they are named after but also the feast days that fall on their birthdays. The second tip was to decorate our home in ways that exemplify our Catholic faith, so that no matter who comes into our home, they will know we’re Catholic. 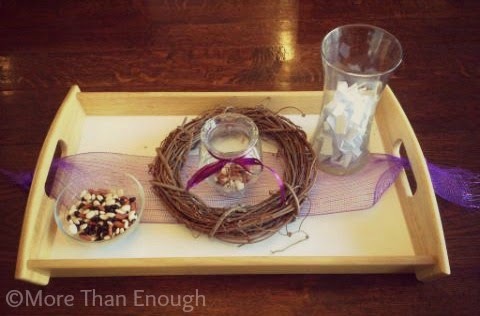 One specific detail Patty talked about was decorating for the different liturgical seasons, such as Lent. 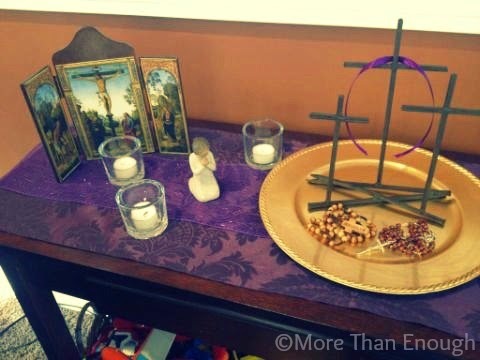 She told us how much she enjoyed this, and she especially liked decorating for Lent with her purple cloth draped on the mantle and images displayed from a calendar of The Passion of the Christ movie. Patty’s talk was so convicting, I truly believe God used her to speak directly to me on what to do to get out of my rut. I resolved to return to my former ways of honoring the liturgical seasons, starting with this Lent. I looked to see what I had on hand, I searched Pinterest for new ideas, I made a trip to Hobby Lobby, and I made a plan. I cannot tell you how therapeutic it has been for me to decorate little corners of our home this Lent. I found joy that I have not experienced in quite some time. I rediscovered that I enjoy beautifying our home with little touches here and there. I have thought a lot about Our Blessed Mother and how nicely she must have kept their home in Nazareth. She must have cared so much about making things warm and cozy for Jesus and Joseph. As I thought about Mary, I determined that I want to have that same care for my own home, to take pride in my work around the house, rather than thinking of it as drudgery and almost pointless because it gets undone before my very eyes. I am nowhere near a good homemaker. I do the tasks of a homemaker, but I don’t take much ownership in my work, which I think I should. Maybe, God willing, my little Lenten decorating projects will be a good step toward embracing my work and my vocation just a little bit more. Maybe, just maybe, that joy I had lost will continue to emerge through rediscovering the tasks that used to bring me such life, peace and contentment. And all the while, reintroducing my children to our traditions of celebrating the Catholic Faith in our domestic church. When I saw the title, I knew I had to read this! You inspired me to start again! Thank you for sharing this!! As a momma with only little ones still I often wonder if I will be able to "keep it up" or how things change as kids grow. I really appreciated reading this! I feel like I used to do a much better job at this in the past. But, once my eldest son hit high school the spiritual time with the littles started to dwindle. God's been prodding me to bring it back and seeing that what my youngest knew seems to have been 'forgotten', I think it is definitely time. So glad to know I am not the only one who struggles with it all. And, thank you for linking this up to last week's 40 Days of Seeking Him meme. 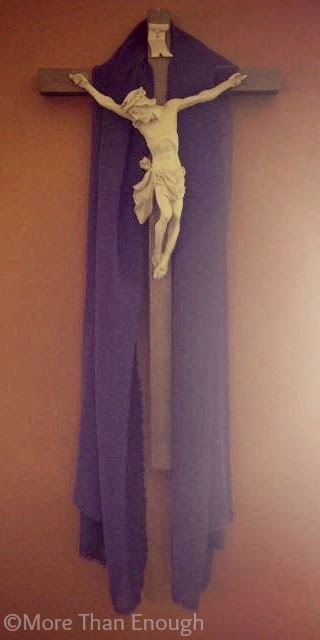 I hope you'll be back to share more posts on Lent and Easter.